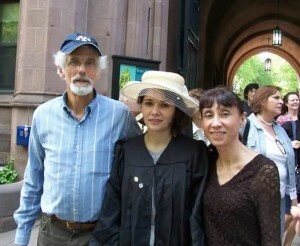 22-year-old Sylvia Bingham was riding her bike to work in September, 2009, when she was struck and killed by a tractor-trailer driver in Cleveland. The driver, who was later convicted of vehicular homicide, never stopped and claimed he didn’t realize he’d hit the recent Yale graduate. There are far too many similar cases all over the country: San Francisco’s Amelie Le Moullac, or New Haven’s Alex Capelluto, to name a few. Last year, the NTSB studied several safety issues with tractor trailer trucks. The NTSB proposed measures to reduce blind spots, and requirements for side guards on new vehicles. The good news is that the NTSB has now officially adopted those safety measures. The need for these safety measures is clear. 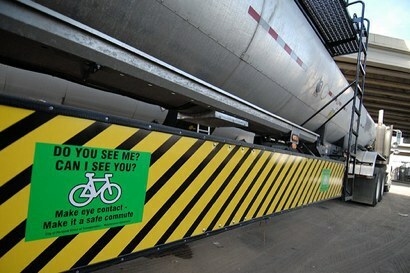 Bicyclists and pedestrians are particularly vulnerable to truck accidents. They are not visible to the driver up in the cab, and they have no external protection. Death rates of vulnerable road users involved in collisions with tractor-trailers were high: 152.8 per 1,000 involved pedestrians/cyclists and 119.5 per 1,000 motorcyclists. In comparison, death rates were 2.0 per 1,000 involved tractor-trailer occupants and 10.9 per 1,000 involved passenger vehicle occupants. Next, the agency responsible for producing safety regulations for cars and trucks — the National Highway Traffic Safety Administration — has 90 days to respond to NTSB’s recommendation, Systemic Failure reports. Elsewhere on the Network today: Streets.mn marvels at a Subaru commercial that conveys the inherent danger of traveling in a car. And Seattle Transit Blog reports that local advocates are hosting a rally to demand a solution to the region’s transit funding crisis. Will the Feds Step Up for Ped Safety and Close the Crossover Mirror Loophole?